medReha » Scientific Articles » Diseases » Neurological » How Do We Define Disability? In 1980 the World Health Organization defined disability linearly – impairment leads to disability leads to handicap. Later The Quebec model helped shift focus from a fixed impairment that is part of a person’s organic system to more adaptable factors that affect a person’s participation in society. Many current interventions imply that if we address the symptoms, we can produce a reduction in disability. What if we view disability in terms of a behavior? Behavior of disability usually involves a reduced participation in activities of daily living. So people suffering from chronic pain, depression, major diseases often reduce this participation in life. 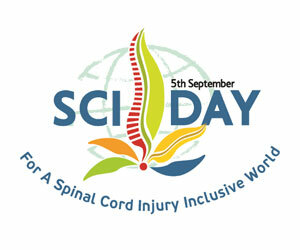 Can we reduce or remove the symptoms of spinal cord injuries? If we only focused on the symptoms and underlying physiologic cause – would we miss a huge piece of the puzzle to allow people to reintegrate back into their lives? Research clearly shows that there are other factors than just medical symptoms that will determine who will and who will not resume occupational involvement following disabling injuries or illness.